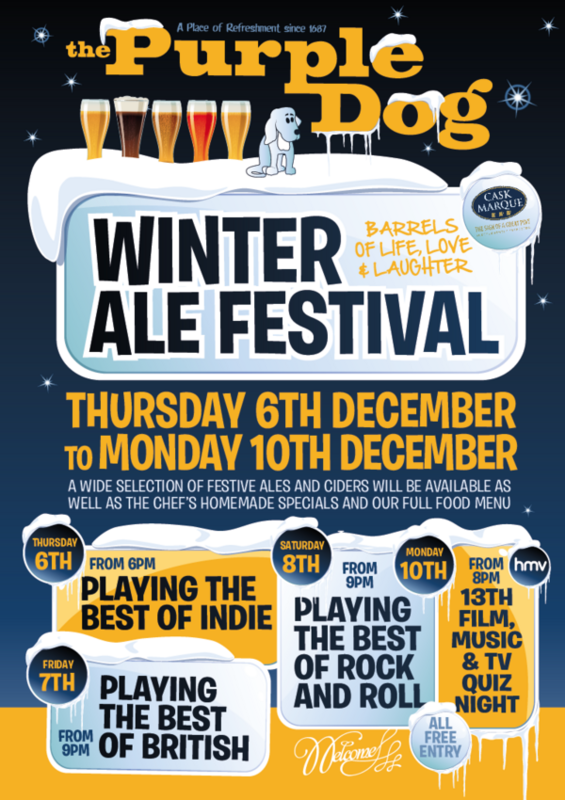 "We're having our Winter Ale Festvial from 6th December - 10th December. With a wide range of winter ales and homemade food specials you won't want to miss it! We also have our famous Film, T.V & Music Quiz on Monday 10th so even more reason to come down."